Very light for sure but real’lack Of pockets! Side pockets are not really deep and this is not visible on the picture ! 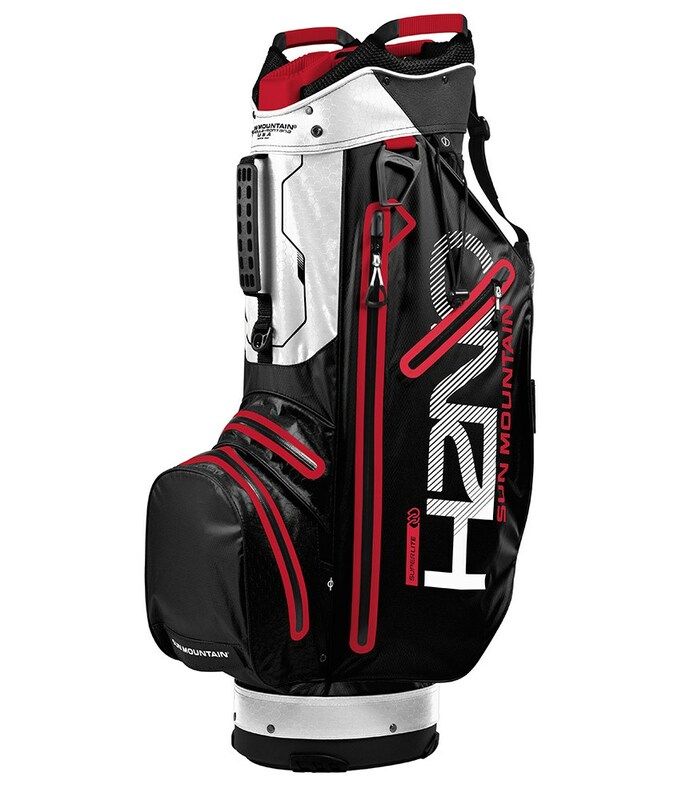 The Sun Mountain H2NO Superlite cart bag has been specifically designed to provide the golfer who uses a trolley the best possible performance. A lightweight, durable ‘H2NO’ fabric, seam sealed design and YKK waterproof zippers will help to protect the contents of your bag from the elements. Sun Mountain have used a 10-way top that incorporates an integrated putter well. Also integrated into the top design are two grab handles, there are also another lift-assist handle located under the ball pocket that will allow you to lift, load and unload the bag much easier. 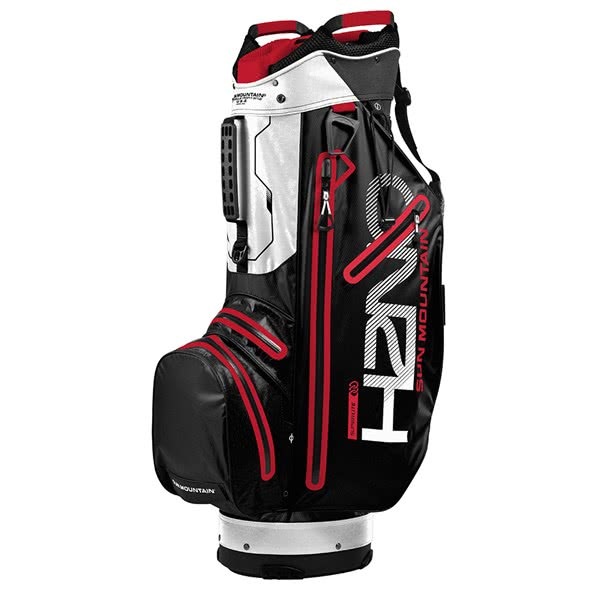 A total of five pockets have been used in the design of the H2NO Superlite cart bag, these pockets include two large apparel pockets, a velour-lined valuables pocket and two smaller accessory pockets on the spine of the bag. Other useful features on this cart friendly bag include a pen, umbrella and towel holder, a glove patch and a lower pocket that can be taken off and embroidered.